(NaturalNews) The medicinal value of cannabis cannot be ignored. This healing plant has successfully been used for treatment of pain, insomnia, rheumatoid arthritis, Parkinson's, multiple sclerosis, seizure disorders, and even cancer. Despite its long history of medicinal use throughout the world, cannabis has remained an illegal, controlled substance in the US, aggressively pursued by government agents for many decades. The US Drug Enforcement Administration (DEA) gained significant authority over cannabis after the Controlled Substances Act of 1970 was signed into law. Once enacted, the DEA created a scheduling system that classified different substances according to their potential for addiction and abuse. Without any scientific backing, the DEA put cannabis at the top of the list - a schedule one drug with the greatest potential for addiction, with no medicinal value whatsoever. A comprehensive report authored by the Drug Policy Alliance and the Multidisciplinary Association for Psychedelics, finds that the entire decades-long "war on drugs" has been a complete fraud. The Controlled Substances Act has been nothing but a false sense of security that has permitted the DEA to deliberately block scientific research on cannabis for more than 40 years. When marijuana was first categorized as a schedule one drug by the DEA, Americans fought back and started petitioning the government so that it could be studied for its medicinal value. The DEA fought back arrogantly, striking down the petitions and not permitting any scientific study on the medicinal merits of cannabis. The new report finds that the DEA acted impartially, never abiding by scientific evidence, while executing its responsibilities in an unfair manner. Through the years, the DEA's excessive power gave them the authority to over ride the determination of Administrative Law Judges. 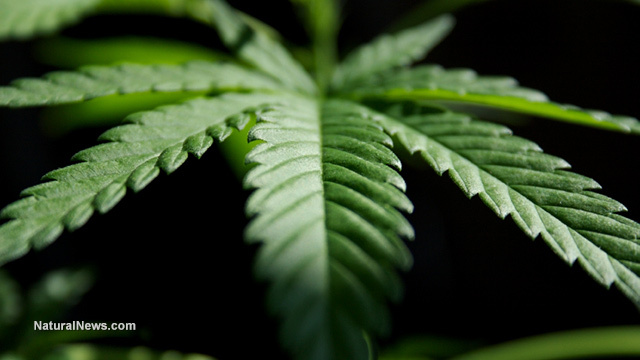 On three different occasions, the DEA ignored and declined petitions to reschedule cannabis. The DEA knew, that if cannabis was rescheduled, then it could then be studied for its medicinal value. If that happened, the DEA would slowly lose all control and no profit could be made running their fictitious drug war. Because of this, generations of people were legally blocked from accessing the medicinal qualities of the plant to cure their various ailments. The report finds that the DEA obstructed Marijuana Rescheduling from 1973-1994 and again from 1995-2001 and finally from 2002-2013. The DEA also overruled an Administrative Law Judge to Protect Federal Monopoly on Marijuana for Research, 2001-2013. The most common tactic the DEA used was to ignore activists and delay their requests for many years. The first time the DEA considered rescheduling cannabis, they took sixteen years to make up their mind. In the end, they kept it a schedule one drug, with no medicinal value and not open to scientific study. The second time they got around to the decision, they delayed five years. The third time, they delayed nine years. Multiple lawsuits through the years didn't have an impact. Time and time again, the DEA delayed and kept marijuana at the top of their hit list. Independent researchers seeking clearance to research marijuana were denied access, time and time again. One request to study cannabis was ignored for twelve years, even in the face of a lawsuit. The report concluded by urging that the DEA be stripped of many of its powers. Drug classifications should be determined by a non-government entity such as the National Academy of Sciences. To end the DEA's monopoly on research grade marijuana, the report states that federally-approved research should be accessible to all licensed private producers of medical marijuana. This change would follow in the footsteps of countries like Canada, Israel, Czech Republic, England and the Netherlands, which are far ahead on this issue. On August 1st, 2016, the DEA will reschedule cannabis as a schedule-2 substance. This does not mean it will be legalized. The DEA will still pursue recreational use. The only change is that jurisdiction of cannabis as medicine will be handed over to the FDA. The FDA will then regulate cannabis use in FDA approved medications.